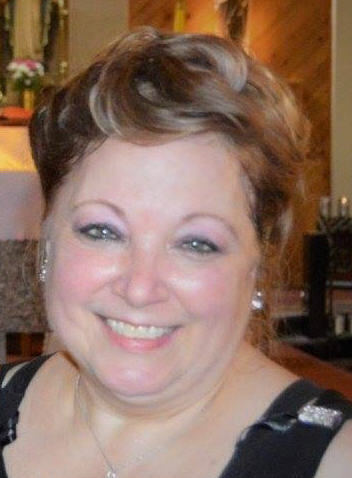 Sherry A. Bobick, 63, of Kenosha, died on Sunday, February 3, 2019. Born in Kenosha on May 4, 1955, she was the daughter of Bernard and Joyce (Giannoni) Rosmann. Sherry attended local schools and graduated from Mary D. Bradford. She was employed as an assembler with Ametek Lamb Electric in Racine until they closed in 2003. Sherry then had various jobs but especially enjoyed her seasonal employment at Lowe’s. An active member of St. Peter Catholic Church, Sherry enjoyed helping at the festivals. She was talented in many ways making wreaths, jewelry and always cooking. It was her dream to share her talents and start her own business Sherry’s Snack Shack. She had a “green thumb” for gardening especially with flowers. Sherry was a forgiving, selfless woman who was loved by all. Left to cherish her memory is her father, Bernard; her children, Cody (Ashlee) Bobick and Nicolle Bobick; her grandchild, Isabelle Bobick; her brother, Daniel Rosmann and former husband, Kenneth Bobick. She is preceded in death by her mother, Joyce; and her sister and brother in law, Kathleen and Jim Gerou.